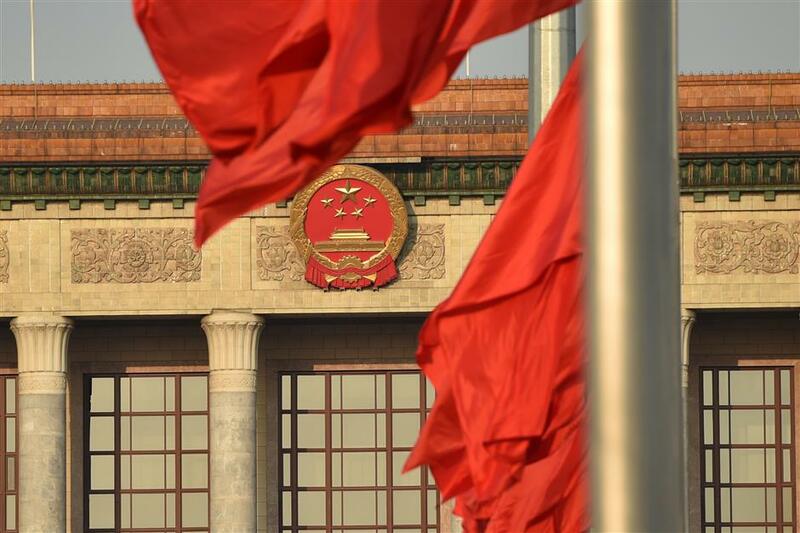 The Communist Party of China (CPC) is set to draw a new strategic blueprint for the nation at its upcoming 19th national congress. Three years ahead of the end date of China's plan to achieve a moderately prosperous society, the Communist Party of China (CPC) is set to draw a new strategic blueprint for the nation at its upcoming 19th national congress. China has created somewhat of a miracle with the rapid and sustained rise of its economic might over the past 40 years of reform and opening up. Its overall national strength and people's standard of living have improved substantially. The country is getting ever closer to the center of the world stage. The successes of the populous country have come with the failure of such predictions as the "end of history," held by Francis Fukuyama who argued for the inevitable triumph of Western liberal democracy, and the "collapse of China" trumpeted by various observers from time to time. Such predictions appeared after the dissolution of the Soviet Union and the changes in eastern European countries in the late 1980s and early 1990s. What reasons lie behind China's successful path of development? In Xilingol League, Inner Mongolia Autonomous Region, life is easier for herder Yu Lianhai. He and his wife still live in their decades-old clay house, but will move to a newly-built brick house provided by the local government once they have purchased new furniture. Three years ago, Yu received a low-interest loan and bought cattle to breed. Three cows, provided by the village committee's poverty reduction program last year, produced calves this year. Yu sold them for a total of 15,000 yuan (2,263 U.S. dollars). His household income is set to increase by 30 percent to reach 30,000 yuan this year. "I believe our life will get better year by year," said the 48-year-old herder, who tries to find part-time jobs to increase revenue. For one month during the summer, he worked as a cook at a nearby scenic area. Poverty remains a challenge in the building of an all-round prosperous society. China is continuing a large-scale program to eradicate poverty with precise measures in areas such as finance, industry and tourism. Over the past 30-plus years, the country has lifted 700 million people out of poverty, a figure that represents more than 70 percent of the global reduction in poverty. This achievement has won worldwide praise. "To meet the people's desire for a happy life is our mission," Chinese President Xi Jinping, also general secretary of the CPC Central Committee, has said, stressing adherence to people-centered development and putting forward the concept of innovative, coordinated, green, open and shared development. Hu Angang, director of the Center for China Studies at Tsinghua University in Beijing, said people-centered development is the "soul" of Xi's thought on governance. The development concept is also aimed at realizing the overall development of the people, he said. With a history of 96 years and 89 million members, the CPC -- the world's largest ruling party -- is leading the nation to common prosperity and achieving the Chinese Dream of national rejuvenation. "The core of the Chinese model is the leadership of the CPC, which carries on the people-oriented thinking of ancient Chinese culture," said Pan Wei, director of the Center for Chinese and Global Affairs at Peking University. On Sept. 21, high-speed trains on the Beijing-Shanghai railway ran at a maximum speed of 350 kph, becoming the world's fastest train service. Besides high-speed trains, China's nuclear power, smartphone and e-commerce sectors, among others, have built up their cutting-edge competitiveness after years of hefty investment in research. The country has made significant progress in a number of frontier fields such as space technology, quantum communication and large jets. In July, Chinese firms filled an unprecedented 115 places on the Fortune Global 500 list for 2017, the 14th straight year that the country's firms have increased their presence on the list. Internet service giants Alibaba and Tencent joined the list for the first time. As a participant, propellent and beneficiary of globalization, China is moving closer to the center of the world economic arena and remains the largest engine of world economic growth, said Hu. "Judged by the current indices, China is sure to be victorious in achieving a moderately prosperous society by 2020," said the professor, noting that he was more interested in the development after 2020. "As an innovative party, the CPC leads and advances the people's innovation. China's pursuit of its own development path is itself a large innovation," he said. The CPC's economic system reform has been evolving, changing the role of the market from a basic to a decisive one. Social and ecological progress has been gradually added to the overall structure of socialist construction which originally covered political, economic and cultural aspects. China is building a socialist market economy through progressive reforms, according to Justin Lin Yifu, a professor at Peking University and former World Bank chief economist. There is not just one model in the world. China has its own distinctive economic, political and social models, which contribute to its success, said Pan. After the 2008 financial crisis, China has contributed more than 30 percent of global economic growth annually on average and its growth rate is still high among major economies. "China's contribution to the world has been its rapid growth, especially since the global financial crisis. Sustaining this contribution will require further reform, not only of state-owned enterprises, but of the state-dominated financial system," said Nicholas Lardy, senior fellow at Peterson Institute for International Economics. Taking its own path, China has made a historic leap from standing-up to becoming better-off to getting stronger. Chinese leaders say the Chinese people today are closer, more confident and more able to achieve national rejuvenation than ever before. With the Belt and Road Initiative, or the "project of the century" as Xi has put it, and Chinese concepts such as the building of a shared future for mankind, China has offered the world inspiration in development. It is a fact that China achieved leapfrog development without copying the Western model. Few countries have succeeded in their sustained development by copying Western models. The turmoil which has hit some countries in the Middle East since 2011 is proof of that. China's successful governance model has offered reference for improving global governance. The Chinese government has a management mode with clear goals, a solid foundation and tangible results, said Ronnie Lins, a Brazilian expert on China studies. "The Chinese model is our own. With its own advantages of focusing efforts on important projects and long-term strategic plans, China's achievements are by no means inferior to those of any other country," said Pan. "In contrast, some Western leaders tend to be short-sighted, only focusing on election campaigns and becoming elected," he said. "The Chinese model is a key inspiration for other developing nations."